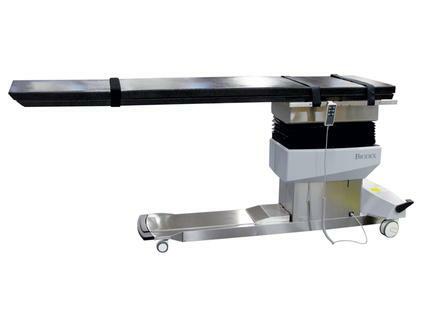 The Pain Management C-Arm Table – 870 is designed for image-guided procedures where stability, access, and precise, quiet, vibration-free positioning are essential. 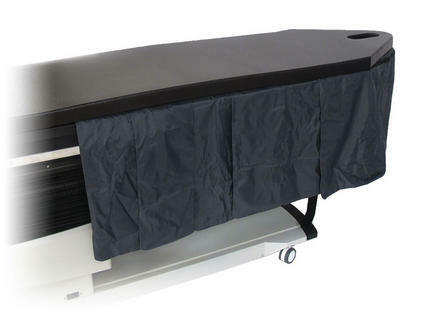 A cantilevered low attenuation carbon-fiber tabletop, with choice of contoured or rectangular design, accommodates portable or ceiling-suspended C-Arms. 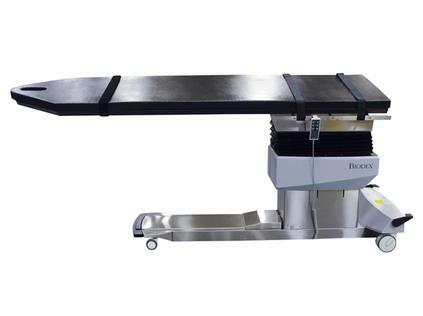 The standard contoured top allows ample workspace for anesthesiologists, yet the narrowness required for cervical procedures. The rectangular top offers additional space to allow for superior image quality for long-leg runoff studies. 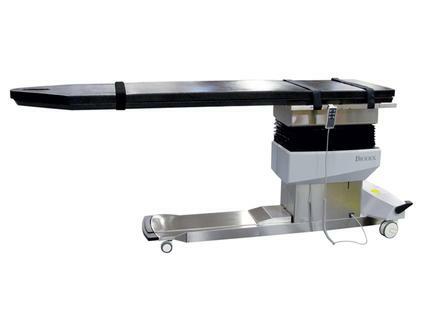 Choose a tabletop to best fit your needs to achieve optimum image resolution. A portable hand-held or optional foot-operated controller can be positioned for convenient access from any point around the table. 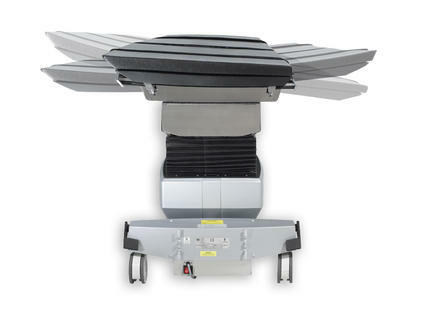 Both controllers offer the freedom to adjust height, lateral roll and Trendelenburg motions. 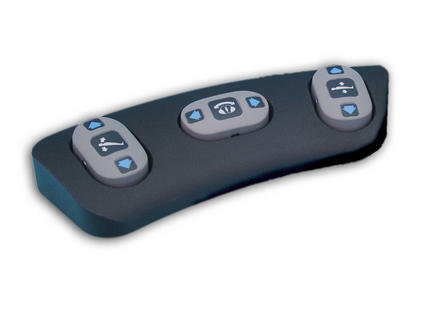 The foot-operated controller can be used when hands are busy with other functions. Radiolucent Area – Large, 70"